My favorite thing about each annual Tony Award presentation is being able to see some of the great production numbers and enjoying some spectacular performances over again. This could be an historic year for Tony. If Audra McDonald is named Best Actress in a Play, she will secure two places in the Tony record book. She will be the first to win six Tonys for performance, and she will the first actor ever to earn Tonys in each of the categories for which she’s eligible. Mark Rylance is also poised for a Tony coup. He is nominated for both Best Actor and Best Supporting Actor in a Play, the first nod coming for his work in “Richard III,” the second for his turn as Olivia in “Twelfth Night.” Voters could easily find Rylance deserving of both. If they do, he will be the first performer to win two Tonys for acting on the same night. In general, this is a year in which there is a contest in most major categories. I don’t see many clear winners. This article will examine the major contenders category-by-category. At the end of each blurb, I will state my preference and my prediction for the award. The competition here is clearly between Neil Patrick Harris for his exhaustingly bravura turn in “Hedwig and the Angry Inch” and Jefferson Mays for his gleeful performance as multiple characters in “A Gentleman’s Guide to Love and Murder.” Bryce Pinkham, also from “Gentleman’s Guide,” has an outside chance, but Harris and Mays have been garnering the most attention and Pinkham and Mays may suffer from being nominated for the same show. All three actors have so much to recommend them. Harris dominates the stage in “Hedwig.” His must be the most unsanitary role on Broadway as he licks the stage, licks a punter’s glasses, and has his hands and tongue in all kinds of places. His is also the most energetic. Harris shows his mettle as an actor and as musical triple threat with this performance. His Hedwig is funny and ironic. She is raunchy and crude, but Harris lets you see her heart and the disappointment that has been the theme of her life. In a quieter moment, he can break your heart. He is actor who is totally uninhibited and has no fear. How else could he walk from the roof, down the window, and across the hood of a car wearing eight-inch heels. Physical prowess and gymnastic flexibility are just the beginning of the marvels Harris shows on the “Hedwig” stage. He embodies his character. He has the attitude and carriage of a rock star, and whether or not Hedwig has ever made it in the big time, she definitely has the goods to be great as Harris plays her. Neil Patrick Harris has shown so much since he earned fame as Doogie Howser, M.D. when a child. His hosting stints of past Tony shows have been phenomenal as Harris went from complicated opening numbers to witty repartee and clever remarks. As Hedwig, he uses the wit and congeniality of a host with the dance skills and leading man charisma that solidified those opening numbers and make them so memorable. “Hedwig” is not Harris’s Broadway debut, but it is a role that vaults him to Broadway stardom and writes a new chapter in his ledger as an entertainer. Jefferson Mays, trading hunting togs for frocks, and wearing several different types of teeth, is a marvel in “A Gentleman’s Guide to Love and Murder.” He exudes a different kind of energy from Harris’s. Mays plays almost a dozen characters in “Gentleman’s Guide.” He plays them serially, but he still needs to use his invention to differentiate them, and he finds separate tones, accents, and demeanors for each one. As with Harris, you can see Mays having a ball keeping up with the demands of a fast-moving musical. He seems as delighted as he is delightful in his role. Deft at comedy and decorum, Mays makes the various members of a British noble family endearing and grotesque as is fitting, and his overall performance is a tour de force of comic acting that runs the gamut from Terry-Thomas to Margaret Rutherford. Bryce Pinkham is dapper and deliciously devious in his role as the ninth in line for a British title, a position that drives him to kill the eight kinsfolk in his way to claim the title and the snobbish upper class woman who whom he is in love. It’s a clever turn that in any other year would put Pinkham high in the running for a Tony. This year, he is overpowered by the wattage Harris and Mays create when they’re on stage. So is Andy Karl, whose earnestness and likability as Rocky in “Rocky” is admirable. Karl gives a first-rate performance that I think has more heart and more depth than the portrayal by “Rocky’s” creator, Sylvester Stallone. Until Harris opened in “Hedwig,” Karl seems to be Mays’s prime competitor for the Tony. With Harris’s emergence, he is out of the race entirely. His performance will be remembered for its sincerity and authenticity. Ramin Karimloo has made an impression as Jean Valjean in the reworking of “Les Miserables.” Like Karl and Pinkham, he has put himself in the running for more work on Broadway. At first glance, this looks like a lackluster contest with no one standing out from the field. When you consider the range of the performances, and the varied parts the nominees are playing, the category takes on strength. In my heart of hearts, I’d like to see Kelli O’Hara win the Tony for “The Bridges of Madison County.” More even than Patti LuPone or Bernadette Peters, O’Hara has been a stalwart of the Broadway stage for almost a decade. Her roles have been varied, ranging from the impulsive and lively Clara in “The Light in the Piazza” to the tomboyish lead in 2012’s “Nice Work If You Can Get It.” Between those roles, O’Hara defined two classic icons of the American musical theater, Babe in “Pajama Game” and Nellie in “South Pacific.” Her work has been consistently superb, and she earns a place among the important leading ladies of our time, but I am afraid that in spite of her excellent acting and moving performance in “Madison County,” O’Hara will be left with a nomination certificate once again. In “Violet,” Foster plays an optimistic young woman, recently orphaned, who is investing her last dime to see a faith healer whose powers, she hopes, will be great enough to remove a hideous scar from her cheek. Though not sophisticated, Foster’s Violet knows her way around men and has romantic and other adventures on a bus ride from her home in Tennessee to the faith healer’s base in Oklahoma. “Violet” is a story about growth, and Foster matures admirably as the musical proceeds, going from gawky to commanding in the 100 or so minutes “Violet” takes to unfold. Her performance is heartwarming and shows acting skill as well the musical theater ability Foster has proven time and time again. 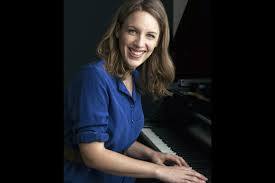 Jessie Mueller is so natural as Carole King, you don’t even realize she’s acting. Like Foster, Mueller works with almost no make-up. She is Carole as the world sees her, and Mueller imbues her role with great authenticity. You see Carole go from an ambitious songwriter, shy about everything but selling her music to having the confidence to write lyrics as well as music and sing her own compositions. “Beautiful,” a wonderful piece on its own, takes you from Carole’s first sale to her Carnegie Hall performance after releasing “Tapestry.” The character’s development is constant, but Mueller is a wizard at keeping it gradual, doing one little thing to make you notice Carole has matured or hit a new plateau rather than changing abruptly. It’s a loveable turn that involves Mueller singing in several ways, as a bashful Carole who has no faith in her voice to the Carole who can wail with the best of them in recording sessions when no audience is looking to the Carole who can entertain at Carnegie Hall. The choice between Foster and Mueller will be difficult for Tony voters, and O’Hara is pretty stellar too. Idina Menzel brings her usual power to “If/Then,” but neither she nor her vehicle can overcome the contenders this year. Mary Bridget Davies retains an outside chance for her performance in “A Night with Janis Joplin,” but I think this year, Carole trumps Janis. Bryan Cranston has had one of the more interesting careers. From playing a typical TV dad in “Malcolm in the Middle,” he turned Walter White into a man you can love and fear in “Breaking Bad,” adding depth to that series with his versatile portrayal. Now, Cranston is on Broadway as Lyndon Baines Johnson in “All the Way,” and he is giving Mr. Johnson the same boost in reputation and respect David McCullough gave to John Adams when he published his biography of him. Cranston shows Johnson as the soul of politics, one who enjoys the game of parrying and negotiation, and one who dances and growls in turn as matters fall into place or meet obstacles. Cranston has a great time playing LBJ, laughing with Congressman who oppose his legislation while teasing Hubert Humphrey, an ally, into garnering the votes he needs, scowling at Lady Bird while being smooth as pie to someone whose support he must have. This is monumental performance in an informative, interesting play, Cranston showing how LBJ can be loved and feared and how he, as a leader, could put personal sentiment aside to do what he thought was right for his country. In the last decade, Mark Rylance has emerged as perhaps the best actor on the English-speaking stage, a heady feat while Frank Langella, Simon Russell Beale, and Kevin Kline continue to appear in the theater. Rylance was bewitching as Richard III. The scene is which he woos Lady Ann was a masterpiece of tact and theatrical cunning. In a way that kindles memories of Hannah Arendt, Rylance’s Richard practiced evil in the most mundane and banal way. He just put it into motion. When Richard turns from amused and confident in his perfidy to grasping, ambitious, and imperial, you see the change in Rylance. The actor commanded this demanding and challenging role and brought clarity to Shakespeare’s play by bringing personality and point of view to its lead character. Watching Rylance go about his machinations in “Richard III” was like attending a master class in classical acting. The man was riveting and brilliant. I only hope his performance was preserved so generations can enjoy it. Rylance out-Oliviers Olivier. In a year without Cranston and Rylance radiating such brilliance, Tony Shalhoub’s triple role in “Act One” would stand as a beacon of excellence. Heck, it does anyhow. Shalhoub, hair tusseled and looking world-weary is a study in both intellect and fastidiousness as George S. Kaufman in “Act One.” He also shows sternness as a father who doesn’t quite understand his son’s interest in writing or his sister-in-law’s love of escape at the theater and the show’s lead character, Moss Hart, as an older adult. Shalhoub’s is remarkable in his ability to create such distinct characters and in his knack for entertaining. Chris O’Dowd is touching as Lennie in “Of Mice and Men.” Samuel Barnett was elegant as Viola in “Twelfth Night” and majestic as a queen in “Richard III.” The contest remains between Cranston and Rylance. The choice here is between the subtle but moving breakdown Audra McDonald portrays while doing a concert as Billie Holiday in “Lady Day at Emerson’s Bar and Grill” and the sterling, definitive performance Cherry Jones offered as Amanda Wingfield in Tennessee Williams’s “The Glass Menagerie.” There is a slight possibility LaTanya Richardson Jackson could surprise with a win as the mother in “A Raisin in the Sun,” but the main contest is between McDonald and Jones. Audra McDonald proves time and again why she is the single most talented person working in live entertainment today. She surrenders her own rich contralto to find the lightness and the crackle in Billie Holiday’s voice. She is a disciplined and controlled actress who can crumble in stages that are more discernable in their effect than as they happen. She can go from brightness to glumness on a dime. And she can wring your heart while you want to hear more, more, more of her singing as Billie. McDonald could make history with a win on Tony night. She is certainly a contender for the faceted, varied, dramatic, and funny portrayal of Holiday. That her performance involves a full nightclub show as well is a plus. Cherry Jones was magnificent as Amanda. Thought stylized in manner, her readings were genuine. You could see the pain and disappointment Amanda felt in regard to her children as well as how much she loved them. Jones brought a chord of reality and practicality to Amanda while retaining her romance. She is the ultimate survivor who may not live grandly but will keep on making things work and will retain her sense of elegance and graciousness no matter what. Jones takes Amanda to near tragic heights as she realizes her ambitions for her family will not come to be. She also endows the character with humor that shows how she charmed so many beaux in her heyday. The contenders here are a mixed bag. Only Jarrod Spector from “Beautiful” registers as an also-ran. Any of the remaining four can walk home with a Tony on Sunday and walk home proudly. Danny Burstein is in the Kelli O’Hara category. He has given magnificent performances in everything from “The Drowsy Chaperone” to “Follies,” receives perennial nominations, and never gets the award. Burstein always endows his characters with deep humanity — well maybe not Rodolpho — and he brings out the sweetness and pathos in Schultz. Nick Cordero stuns in “Bullets Over Broadway,” the most overlooked show by Tony nominators this year. He plays Cheech, a gangster who is also adept as a theater critic and has an ear for being a playwright. Cordero gives Cheech an air of prickly exasperation while also showing his suave side as a mobster with a touch of urbanity to him. He can nonchalantly croon “Up a Lazy River” as he chauffeurs those who run afoul of his boss on their final journey, and he can speak persuasively about why a certain phrase doesn’t belong in a script or why a certain chorine is damaging the show he helped to craft. Cordero is funny a loveable in his part. He gives “Bullets Over Broadway” energy in its book scenes and provides a memorable Broadway turn. When Joshua Henry sings the encouraging “Let It Sing” in “Violet,” he energizes the entire American Airline Theatre. Henry is so movingly sincere as a soldier who can see past Violet’s blemish and feel affection for her, he touches you with his gentlemanly kindness and easy style of affection, a style so easy it may cost him a chance at love. Physically, Henry is powerfully built. Emotionally, his character, Flick, can be as vulnerable as Violet, and Henry is wonderful at juxtaposing strength and warmth in this role. James Monroe Inglehart dominates “Aladdin” as the genie, outshining anyone else on stage with his humor and his magical antics. A Tony would not be a surprise. Jarrod Spector certainly deserves to be amid this group. His performance as the hypochondriac lyricist Barry Mann is funny and well-acted. His competitors just overpower him because they have songs they soar while singing and characters that have more aspects and depth. As with its counterpart in the Best Actor category, this field is uniformly terrific. Choosing one from this pack is taxing because every one of these performers is so good in a distinctly individual way. Adriane Lenox is given all the naughty and involved songs in “After Midnight.” She takes complex numbers and makes them special, never going too far as a comedian and giving herself some leeway as a temptress. Lenox knows how to measure a number, and her skillfulness is as exciting and her energy is invigorating. Linda Emond has one of the great roles in musical theater as Frau Schneider, the landlady in “Cabaret.” Schneider is a woman who has gone from being a spoiled girl to a renter of rooms that barely makes her a living. Emond shows that progression through life. Anika Larsen adds sharpness and snap to “Beautiful.” Her Cynthia Weil is a perfect contrast to Jessie Mueller’s Carole King. Cynthia is always the smartest person in the room and has a tart rejoinder for anything anyone says. Larsen embodies that confidence and has admirable quickness with a one-liner. She can also convey a range of emotions in scenes in which Cynthia faces dramatic decisions. “Hedwig and the Angry Inch” is the hip hit show on Broadway. Everything about is a sensations. It would be criminal if its designers did take glom the awards in their categories. Lena Hall may be a beneficiary of what I see as a “Hedwig” putsch on Tony night. London’s Globe Theatre came to Broadway in the fall and showed America how effective elemental Shakespeare that depends mostly on line delivery and characterization can be. Mark Rylance may have significant competition from Bryan Cranston and Tony Shalhoub in his Best Actor bid, but the field looks fairly clear for him in the Supporting Actor race. Rylance portrayed an Olivia frantic with infatuation for Cesario, her suitor’s servant who happens to be a woman in disguise, while trying to maintain some dignity and some semblance of the long mourning period she’s marking in memory of her brother. His performance was as wonderful physically as it was verbally, Rylance showing the reasonable Olivia as lost and confused in her desire to wed the Duke’s man. Stephen Fry, perhaps Rylance’s closest competitor, was droll and ominous as Malvolio. Fry found his comedy in vaunting Malvolio’s dignity and engendered real concern when that dignity is so seriously besmirched by pranksters in Olivia’s home. Paul Chahidi plays Maria, the main architect of Malvolio’s misery. Chahidi was the actor who made the most comment on men playing woman by always admiring his poitrine as Maria. His was a witty and merry turn and earns recognition. Tony nominations are generally limited to five per category, so it stands to reason not all who qualify can compete. In addition to Timms, I wish Tom McGowan and Patrick Page from “Casa Valentina” could have gotten a nod from the Tony committee. Reed Birney, who plays the woman who instigates the issue that might drive a wedge between a happy aggregation of transvestites who meet on weekends in the Catskills, is a fine representative of the “Casa Valentina ” cast. His character spews charm and venom simultaneously. She is at once the most ladylike member of the group and the most dangerous. Judith Light, the recipient of the last two Tonys in this category, should mount the Radio City Music Hall stage, wave her arms, and invite all the nominees in this excellent field to come and share the award. This season’s Tonys call for making several difficult decisions about which performance is more accolade-worthy than another, but Best Supporting Actress in a Play in 2014 may be too much of a conundrum for anyone to make a satisfactory choice. Sophie Okenedo is so real yet so transcendent as Ruth Younger in “A Raisin in the Sun.” Anika Noni Rose presages a new period in civil rights as Ruth’s sister-in-law, Beneatha. All but Greene could be summoned to the Tony podium to collect the award. I think the contest boils down to Keenan-Bolger, Winningham, and Okenedo. When I saw Winningham, the “Tony Tony Tony” sequence from “West Side Story” (and “The Producers” went through my head. This is the toughest category in which to make any kind of a choice because the performance were all too different to be compared, even Okenedo’s and Rose’s. From the time the bright red music hall curtain rises on the action, “Gentleman’s Guide” has you smiling and laughing. The production is opulent, its story both mean and luscious, and its music perfect for its mood and speed. In the days when Steven Lutvak performed his compositions in a cabaret act, I liked the music but loathed the lyrics. 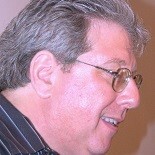 Teaming with Robert L. Freedman, Lutvak’s music fulfills its promise while leaving the lyrics to someone else. The result is exuberant and exhilarating. “Gentleman’s Guide” is musical for the ages. Once it becomes better known, by receiving the Tony, it should be in demand for production everywhere. If “Gentleman’s Guide” has any competition, it’s from “Beautiful: The Carole King Musical,” particularly since the Tony nominators failed to give a nod to ‘Bullets Over Broadway,” a wonderful musical that deserved the chance to compete. “Beautiful” is far from a jukebox musical. It’s more in the vein of “Jersey Boys” but doesn’t have the grit or scope of that show. “Aladdin” comes from Disney. It is meticulously produced. It’s big. It’s opulent. I has its share of visual wonders. It doesn’t have the life force of “Gentleman’s Guide” or “Beautiful” or even “Bullets Over Broadway.” It’s a good standard show that will entertain and that features a stickout performance by James Monroe Inglehart. Terence McNally’s “Mothers and Sons” and John Patrick Shanley’s “Outside Mullingar” complete the field. Frankly, I don’t think any of these plays are outstanding and destined to last the ages, but they all interesting, and while Harvey Fierstein may provide the most matter to consider, “Act One” and “All the Way” are more focused and better conceived. “Act One” is a blessing of sorts. It reminds me of a bygone era when plays were complete and well-made, when stories were told in detail, and shorthand was left to amateurs. James Lapine’s comic drama depicts the rise of playwright and director Moss Hart, a gentleman of the theater for several decades in spite of dying relatively young. Lapine is not afraid to show Hart’s Brooklyn roots or the confrontations his family had. Nor does he shy at presenting a realistic picture of show business as it was when Hart made his entry, a world in which hundreds of productions opened each year and that just as competitive, if not moreso, than the theater business today. In addition to having three actors play Hart at different ages, Lapine doubles the roles of the adult Hart and his father, meaning Tony Shalhoub plays father and son in different sequences. Shalhoub also plays George S. Kaufman. Lapine’s play is tender and takes it time unfolding. It’s refreshing not only to need patience to see all that happens but to be willing to extend patience because it is enjoyable to see a story grow instead of having it thrown at you. I also like that “Act One’ has themes, but is not advocating anything or dealing with any particular issue. “All the Way” is the opposite. It deals with critical issues that faced President Lyndon B. Johnson from the sudden moment he took office on November 22, 1963 until the time of his election to the Presidency almost a year later. Schenkkan shows the skeleton of politics in his play and illustrates how deft and cunning a player LBJ was in all things Washington. “All the Way” chronicles Mr. Johnson’s struggle to get civil rights and voting rights acts passed. It shows the President’s style of negotiation, and it endows Mr. Johnson with a lot of spirit as supplied by Bryan Cranston in the lead. “Casa Valentina” is two plays. It begins as a smart, tart comedy full of one-liners and wisecracks in the gay style, then becomes a polemic about whether a transvestite group composed of straight men should ban homosexuals from its number and excoriate homosexuality publicly. Harvey Fierstein offers ample does of entertainment, political discussion, and outrage. The “Valentina” cast is superb, especially Tom McGowan as a portly/chubby transvestite who has made peace with cross dressing and just wants to have a good time. “Mothers and Sons” continues a story Terrence McNally began in a TV movie, “Andre’s Mother,” about a Texas woman who attends her gay son’s funeral and is filled with recrimination about how he contracted AIDS and how he lived in New York. McNally advances time 20 years, and Andre’s mother, played with reserve by Tyne Daly, comes to visit his surviving partner, who is now married to a new man with whom he is raising an adopted son. The show has sentiment, but some things about it are arranged too neatly and it doesn’t seem like McNally knows exactly where he wants to take this piece. I was surprised that “Mothers and Sons” was nominated ahead of Will Eno’s jaundiced look at suburban life in “he Realistic Joneses.” Michael C. Hall, from that show, was also worthy of a Tony nod. In spite of some editing and restaging that makes “Les Miserables” more immediate, the impression is the current production is an extension of the original run. Even though we know “Les Miserables” closed twice previously, it feels as if it has been open and on Broadway continuously for 27 years. “Violet” is a good production of an involving musical. Next to “Hedwig,” though, it is too quiet, too delicate, too simply produced. “Hedwig and the Angry Inch” is an extravaganza. Sets and costumes may be designed to look raunchy and tacky, but no expense in cash or wit was spared in creating them. “Hedwig” takes place on the borrowed set of “Hurt Locker: The Musical,” so debris and shredded metal is everywhere, as indicative of Berlin when the Cold War was intact and when the wall fell. Hedwig begins his play in the midst of twisted, bombed-out buildings and vehicles. “Hedwig” has incredible drive. You feel so alive watching Neil Patrick Harris and Lena Hall going through their angst-ridden paces. The glitz of the show is contagious. You feel glamorized in a Junction City, Kansas kind of way even as you are surrounded by the broken and the tawdry. Neil Patrick Harris is a wonder. He rants and bellows with the power of a genuine rock star. He croons ballads in ways that are heartbreaking and remind you of the like you have for Harris and the various work he has done in a career than spans two thirds of his 40-year-old life. In the midst of loud music that is pitched by sound designer Tim O’Heir so you hear John Cameron Mitchell’s lyrics, you realize the themes of division, of destruction, and of rebuilding that are part of “Hedwig.” A show that I’d considered mostly noise and camp previously suddenly had weight and thought behind it, as provided by Harris and director Michael Mayer. “Violet” is a competent, satisfying production that does all involved with it credit. “Hedwig and the Angry Inch” is a special event that craves to be seen. Once again, given that Tony rules allow five nominees in a category it is difficult for me to believe nominators ignored the Roundabout’s wonderful staging of Terence Rattigan’s ‘The Winslow Boy” this year. Had the Tony committee chosen Carroll’s mounting of “Richard III” for this award, my decision would be immediate. I enjoyed “Twelfth Night” and thought Carroll explored every aspect of the play which was presented without adornment as it may have been in Elizabethan times, including with an all-male cast. “Richard III” was a revelation. It is was the masterpiece of the Globe season at Broadway’s Belasco Theatre. In “Richard,” intrigue and the study of a complex, complicated character merged. In “Twelfth Night,” comedy comes to a head. Carroll was adept as bringing out all of the levels of romance, and of folly, in Shakespeare’s marvelous comedy, and Mark Rylance and company made the Bard’s characters vivid and meaningful. “The Glass Menagerie” was an equally impressive example of an American classic. Tiffany explored the dynamics of the Wingfield family and opted for strong characterizations that would show the mettle and the headstrongness of the Wingfield clan. Tiffany’s production was a memory play that exuded memory but also showed the fortitude it takes to survive and how much each person must work to seek his happiness, let alone his livelihood. Tiffany took an oft-performed piece and made it look fresh and new, with great help from his cast, Cherry Jones, Zachary Quinto, Celia Keenan-Bolger, and Brian J. Smith. Michael Grandage’s production of Martin McDonagh’s “The Cripple of Inishmaan” gets the most out of all of the unique personalities that populate it. Grandage takes the time to let the story of a town develop. His cast works in ensemble, and each is as funny as the next as they bring their eccentricities and beliefs to the fore. Daniel Radcliffe shows growth as both a man and an actor in the title role. A scene in which his character deals with a fever in a Los Angeles hotel room is quite affecting. Kenny Leon’s production of “A Raisin in the Sun” shows the perennial majesty of Lorraine Hansberry’s work and benefits from strong performances by Denzel Washington and the three women who are closest to him. In Best Director categories, I favor Darko Tresnjak for his work with “A Gentleman’s Guide to Love & Murder” over Michael Mayer’s stellar staging of “Hedwig and the Angry Inch” and, contrary to my preference above, would grant Tim Carroll the Tony for directing a play over John Tiffany. It is interesting to me that no director of a new play, neither James Lapine for “Act One” nor Bill Rauch for “All the Way” was nominated for Best Director of a Play. Revivals must rule. I prefer Tresnjak to Mayer in the Musical category because “Gentleman’s Guide” is new and had to be conceived from scratch, and Tresnjak made it such rollicking fun. I think the Tony will go to Mayer because I expect a “Hedwig” sweep and because Mayer did coordinate a lot of elements to make “Hedwig” a cohesive and involving show. Warren Carlyle’s work in “After Midnight” is creative and varied. He may not get much consideration as Best Director of a Musical, but he should be in the running for Best Choreographer. That said, I think the sharpest and most amusing dance on Broadway this season appears in “Bullets Over Broadway,” and I predict Susan Stroman will take home yet one more Tony Award for her work as the show’s choreographer. So much wonderful design went into “A Gentleman’s Guide to Love and Murder” and so much wit is evident in the costumes for “After Midnight,” but I think the set, costume, and lighting designers for “Hedwig and the Angry” will take home the Tonys in the musical categories, not only because they did a great job but because they did so much with technology. For Best Book of a Musical, I’d choose Robert L. Freedman for his script for “A Gentleman’s Guide to Love & Murder” although I also like Woody Allen’s work in “Bullets Over Broadway” and Douglas McGrath’s libretto for “Beautiful.” For Best Original Score, I’m back with Freedman and include his partner, Steven Lutvak, in my prediction and as my preference. The Tony Awards will be distributed beginning at 8 p.m. Sunday, June 8. The award ceremony will be televised nationally by CBS. In Philadelphia, that means Channel 3. This entry was posted on June 6, 2014 by nzoren in Theater Previews, Theater Reviews and tagged A Gentleman's Guide to Love & Murder, Audra McDonald, Broadway, Bryan Cranston, Cherry Jones, Hedwig and the Angry Inch, Jessie Mueller, Mark Rylance, Neil Patrick Harris, Nick Cordero, Sutton Foster, Theater, Tony Awards.